Such grandstanding and fear-mongering are meant to impress local voters rather than support admittedly skittish American Jews. They are also offensive to American and Israeli Jews alike. Herzog must know that, despite the recent recurrent waves of anti-Semitism, American Jews are not about to hightail it out of the United States. Professor Len Saxe, an expert on American Jewish sociology at Brandeis University, pointed out that a 2016 Pew study found that “Jews are the most widely regarded religious group in America. “If Israelis, who have suffered repeated waves of truly deadly terror, have not run from their homes, why should we expect American Jews to suddenly jump ship? “Just like Israelis, American Jews have learned not to give in to terror,” added Waxman. And even if the Jews were going to leave en masse – it likely wouldn’t be for Israel. As the 2013 Pew Survey of American Jews revealed, only one-third of them feel “strongly connected to Israel” and another third to do feel connected at all. Prime Minister Benjamin Netanyahu also apparently cares little most American Jews. While he denounces anti-Semitism whenever and wherever he chooses to see it, he neglected to say a word when President Trump failed to mention Jews in an official declaration marking World Holocaust Day. The same Netanyahu who demands that Palestinians recognize the Jewish state has not demanded that the American President speak out for the safety of Jews in the United States. Instead, when anti-Semitism shoots up, they offer Jews safe haven; last year, following a wave of Islamic attacks on Jews in France, Netanyahu mused that “Israel is their home”; now, Herzog is doing the same thing. Israel’s leaders are hoping that anti-Semitism will push Americans out, but they are not offering much to pull them in. And that is insulting to Israeli Jews. Of course we would like to see Americans come to live here – but out of choice, not out of fear. Yet, whether Jews choose to make their home in Israel or the United States, we, Israeli and American Jews, are partners in the struggle to reclaim our Jewish values. In Israel, the right-wing coalition is held in a chokehold by even further-right Jewish nationalists. In the United States, Donald Trump’s administration threatens to reverse years of progress, rolling back Obamacare, outlawing abortions and eviscerating environmental protections, to name a few issues. On both sides of the Atlantic our democracies threatened by populism, xenophobia and racism. We are equal partners in the struggle to work for peaceful, tolerant, equitable and open societies. As Jews, we have work to do – together, even if we live apart. Eetta Prince-Gibson, the former editor in chief of The Jerusalem Report, is an award-winning journalist who lives in Jerusalem. This story "American Jews Should Move To Israel - But Not Out Of Fear" was written by Eetta Prince-Gibson. 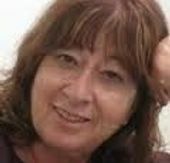 Eetta Prince-Gibson, who lives in Jerusalem, previously Editor-in-Chief of The Jerusalem Report, is the Israel Editor for Moment Magazine and a regular contributor to Haaretz, The Forward, PRI, and other Israeli and international publications.